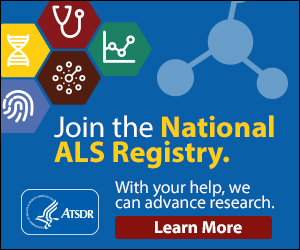 This guide was created to provide important information for patients who have been diagnosed with amyotrophic lateral sclerosis (ALS), their families and loved ones. Its contents offer an overview of important aspects of living with ALS, including finding support, financial options, and leaving a legacy. We encourage you to keep this information on hand, and refer back to it as needed. If you have any questions or concerns, or would like additional information, please contact a clinic staff member. Disclaimer: This document contains information and/or instructional materials developed by the University of Michigan Health System (UMHS) for the typical patient with your condition. It may include links to online content that was not created by UMHS and for which UMHS does not assume responsibility. It does not replace medical advice from your health care provider because your experience may differ from that of the typical patient. Talk to your health care provider if you have any questions about this document, your condition or your treatment plan. Reviewers: Jack Harrington, LMSW, Nancy Egerer, Nurse Practitioner Certified, Stephen Goutman, M.D. & Eva Feldman, M.D., Ph.D.